Unless you always have the DVD disc and TV next to you, you can't watch your favorite movies and TV shows on the go. But after you add DVD movies to iTunes library, you can carry your movies in digital formats to anywhere and play them on iPhone or iPad freely. How to import DVD disc to iTunes library for free? Now let's check it step by step. Since iTunes accept certain formats only, we will first need to convert DVD into formats supported by iTunes. Before we start the process of importing DVD to iTunes library, check the formats that compatible with iTunes. Then you can choose any of those formats when you copy DVD movies to iTunes. 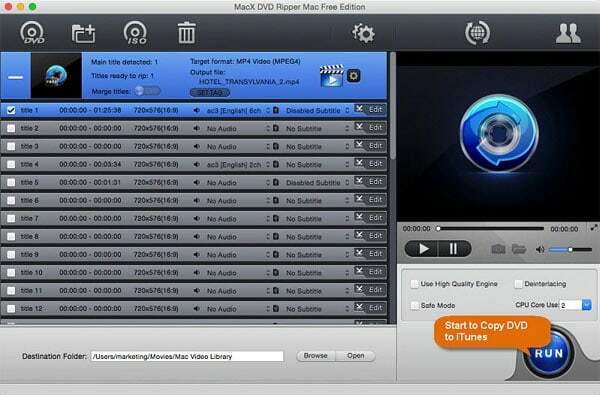 * For commercial DVD movies, you can choose MacX DVD Ripper Mac Free Edition, as it supports most protected discs and will copy DVDs to MP4, MOV, M4V and more formats. Now we have got the reliable & free DVD to iTunes copy software, checked the formats supported by iTunes, everything is ready. Next is a step-by-step tutorial on how to import a DVD disc to iTunes library for free (below we take a commercial protected disc as an example). First, free download the free DVD movies to iTunes copy software on computer. For Windows users, free download the Windows version (Windows 10/8/7/XP all supported). Now insert your DVD to the computer's hard drive. Launch the software and click the DVD button on the interface to load the DVD. Feel free to add any homemade or protected movies, and it will instantly scan the correct main title of the movie. A window will pop up automatically asking you to choose the output file. To free import DVD movies to iTunes library, choose one of the iTunes supported formats (MP4, MOV or M4V). To do this, you can choose MP4 from the Mac General Video, or simply select the iTunes Video from the left sidebar. You can further customize the output file if necessary (e.g., you can cut unwanted parts to reduce the output file size or add special effects or watermark on your movie). Click the Edit button on the right side the same bar of the checked title. Options offered including trimming, subtitle adding, cropping & expanding, rotating etc. Apply specific features based on your own needs. * This helper allows multi-core CPU usage. If you want the fastest DVD ripping process, you can select to use up to 8 cores; if you think that's annoying, you can select part of the cores for the ripping while others for other tasks, that will also ensure a quite fast process. For this case, it takes about 8 minutes to convert a 44 minute episode. * If the DVD you want to import to iTunes is protected by tough encryptions, check the Safe Mode, that will solve most copy problems with tough discs. There is also other DVD to iTunes freeware that will help you free import DVD discs to iTunes library. To allow you choose the free DVD copy software for iTunes that fits you most, here we make a detailed comparison between the most popular free DVD rippers. Note: The free programs above can almost add DVD to iTunes of any kind. However, most of them lack the ability to handle the latest released DVDs or those disc with unusual format. That's where advanced versions really make their mark. If you have any DVD that fails to be ripped with any free programs, try the advanced version of the above helper. It supports all types of discs, including new DVDs, 99-title DVDs, TV series DVDs, workout DVDs and even damaged/unplayable DVDs in a 5-minute process. Different to movies purchased from iTunes Store which will display the movie information neatly, when you import DVD movie to iTunes library, the movies will listed without details. If you don't mind that, just ignore this step. If you want to let iTunes better sort your library, you can add metadata with third-party apps. The apps you can use include Subler, iFlicks, MetaZ and many more. Take iFlicks for example, it will download online movie information and add to movies easily, such as the movie release dates; directors and descriptions; cover art and more. Simply throw the ripped movie to it and there you are. Now let's add DVD to iTunes library freely. This step is pretty easy. * You can click Movies in the Library section of the Source pane to check if the DVD is put to iTunes or not. 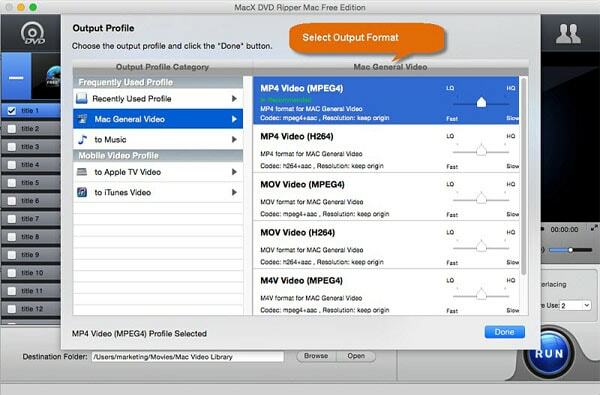 Best free DVD to iTunes ripper - MacX DVD Ripper Mac Free Edition enables users to freely rip commercial & homemade DVDs to DVDs to MP4, MOV, M4V and more formats with high quality reserved. How to Transfer DVDs to iTunes Library for Free. 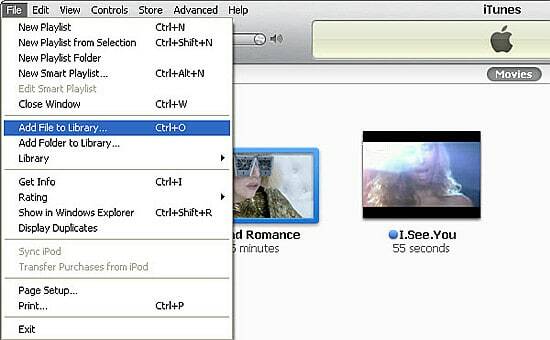 How to Rip DVD to iTunes Free on Mac. How to Add/Rip/Import DVD to iTunes Library Free. How to Transfer Purchase from iPhone to iTunes. 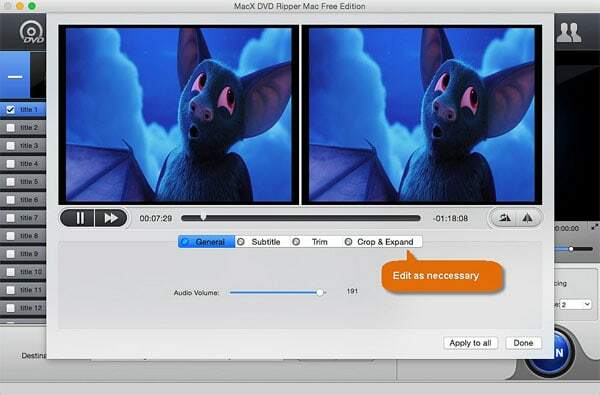 For any questions with MacX DVD Ripper Pro, please feel free to contact our support team.